My Volunteering experience with the UL Trampoline & Gymnastics Club - Rebecca Wray, 4th year, Gold & Overseas PVA Recipient. I have been involved in so much volunteering since joining UL in 2013; Volunteering has offered me so many amazing opportunities, connections like no other, countless friendships, a lifetime memories and impressive new skills. I have been Class Rep. of Industrial Biochemistry for 2 years in a row; Held the position of Entertainments Rep on the Student’s Union Council in my 2ndyear; Took part in the UL Buddy programme, got to welcome 3 amazing international students to UL, share my culture with them and they shared theirs with me; I am and have been an Access Mentor for the HEAR students the past 3 years, where I offer supports and a friendly point of contact to make them feel at home and a part of the UL Family; I was also the first UL Ambassador for Nurture Africa, and travelled to Uganda in June 2015 to volunteer with the local community to help improve the lives of those less privileged (most incredible experience of my life); I am now in my 4th year of the UL Trampoline & Gymnastics Club committee and taking on the role of captain this year, as well as acting as a volunteer coach twice a week. I love to be involved, I love meeting new people, sharing stories, trying new opportunities and challenging myself. I enjoy showing those around me the things I’m passionate about. All of my various voluntary organizations can and do make such a difference to people’s lives; I want and love to be a part of that difference, even if it is just lending a listening ear, extending a warm welcome or even running a club/society. It’s these little acts that gives students a reason to call UL their home. 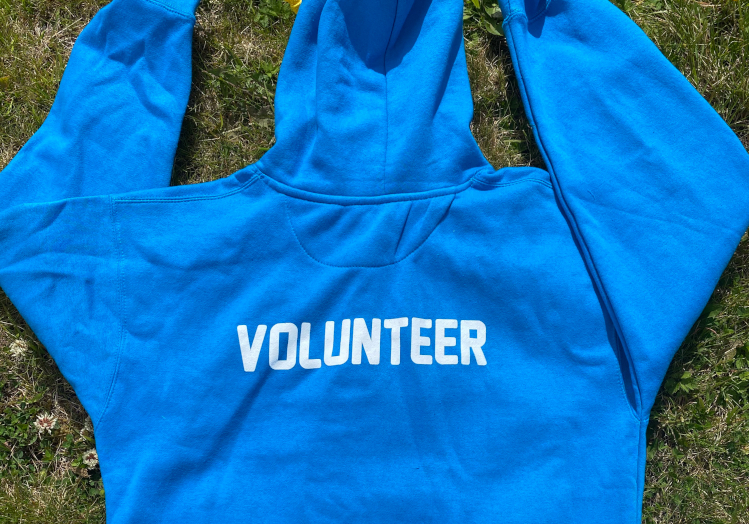 Volunteering offers nice reminders to open your eyes to what’s surrounding you here in UL – endless opportunities, passions & memories waiting to be captured! In 2013, I joined the UL Trampoline & Gymnastics Club in my second week off first year of college, and since then have never been so passionate about a sport/club before. UL Trampoline & Gymnastics Club (ULTGC) is less like a club and more like a family to me. Clubs & Societies in UL have had such a strong impact on my life in UL and feeling of involvement, I honestly don’t know how I would’ve got through college this far without C&S. Volunteering with the Trampoline Club has allowed me to make a difference, and give back to the club that made me feel so welcome and loved! I have seen and contributed to the time, effort and dedication that is put into the club and have seen it grow, expand and bring so much than just a sport to the members. If there is one thing to know about my experience with ULTGC, it would be that in January 2015 while trampoline training I suffered a broken ulna & radius in one unfortunate move.I had surgery on my left forearm which consisted of two metal plates and several screws/bolts being inserted to hold my bones in place. It has become very apparent to me that my passions are surrounding the sport of trampoline and gymnastics, whether it be through coaching, administrative/committee work, or recreational training. I know that when I graduate I want and hope to continue to have very close connections and involvements to ULTGC, and the Trampoline sport alike. Like all things, you’ve got to start small, and by volunteering with a university club in my first year of college I have truly grown and progressed over the years, and hope to continue to grow, to offer the best of my club and all the skills it has given me! I have gained such a wealth of experiences and life skills; in communication, teamwork and leadership. I feel my volunteering has improved my physical and emotional skills, broadened my views and opened whole new life perspectives. I have gained a better understanding of leadership and management, in which I can put to use after my degree and in my everyday life within university and more – a great way to develop personally and professionally. I’ve been given every chance to meet new people whilst putting my time, skills & energy to good use. Life is all about connecting with and helping others, and opening your mind to those that surround you – it’s these experiences that make you appreciate the world, and the life you live in it. Volunteering has changed my outlook completely. There are so many different platforms of volunteering, but the end result and feeling will rarely change – volunteering shapes a person’s heart, mind, and soul completely! The chance to share the resources of one’s voice and own two hands is something really amazing. “To be inspired is great, but to be able to inspire is incredible”! Exploring what my university had to offer has shaped my future indefinitely and helped me to find passion, spirit and more. While you give so much to volunteering, you almost always gain so much more emotionally, physically and in experience. It is a reward like no other to see the impact and difference you have made.